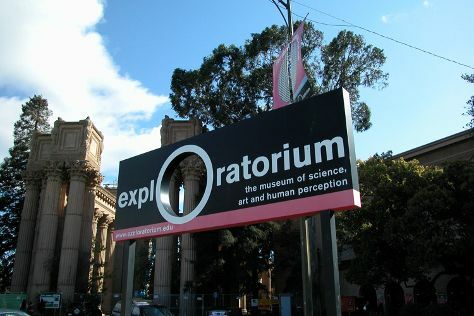 Let the collections at Exploratorium and de Young Museum capture your imagination. Get some cultural insight at Alcatraz Island and SS Jeremiah O'Brien. Explore the numerous day-trip ideas around San Francisco: Charles M. Schulz Museum (in Santa Rosa), Napa (Wine Tours & Tastings & The Hess Collection Winery & Art Museum) and Muir Woods National Monument (in Mill Valley). Spend the 17th (Tue) exploring nature at San Francisco Maritime National Historical Park. There's much more to do: snap pictures at Golden Gate Bridge, take in the awesome beauty at Twin Peaks, admire the masterpieces at Asian Art Museum, and examine the collection at Musee Mecanique. To find reviews, ratings, other places to visit, and more tourist information, read San Francisco day trip planner. September in San Francisco sees daily highs of 76°F and lows of 58°F at night. Wrap up your sightseeing on the 23rd (Mon) to allow time to travel back home.